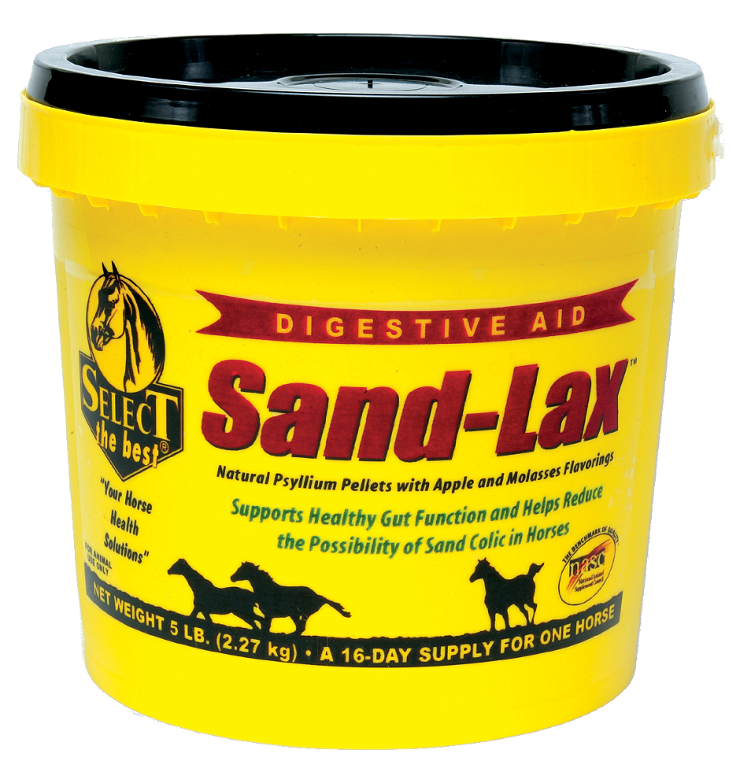 Sand-Lax is a 100% psyllium pellet with an apple molasses flavor. High swell volume and easy to administer. 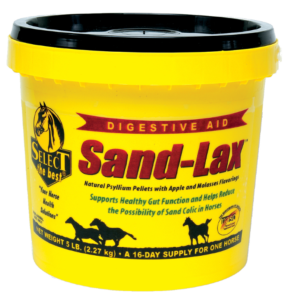 Supports healthy gut function and may help reduce the possibility of Sand Colic. Best fed one week per month for purge administrations to remove dirt and sand from the gut in volume.